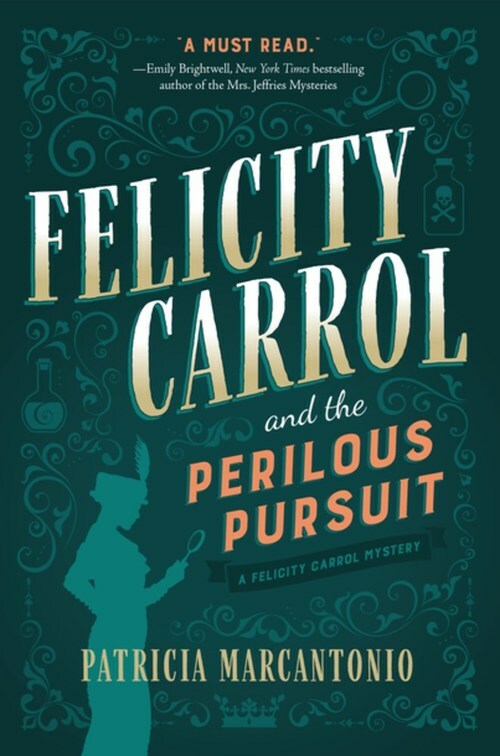 Amidst the heraldry of Queen Victoria's Golden Jubilee celebrations, a string of brutal murders rocks Britain's upper crust�and could threaten the realm itself�in the spellbinding debut of Patricia Marcantonio's Felicity Carrol mysteries. Felicity Carrol is interested in everything�except being a proper young matron of Victorian society. Brilliant and resourceful, Felicity took refuge in science and education after her mother died and her father abandoned her to servants. Now, all he wants is for her to marry into a family of status and money. Felicity has other ambitions�but her plans shudder to a halt when her mentor is murdered at the British Museum and his priceless manuscript of King Arthur lore is stolen. Tapping into her photographic memory and the latest in the burgeoning field of forensic detection, Felicity launches an investigation. Handsome Scotland Yard Inspector Jackson Davies is also on the case, and finds Felicity as meddlesome as she is intelligent. But when more nobles are murdered and their King Arthur relics stolen, Felicity must journey on her own into the dark underworld of antiquity theft, where she uncovers a motive far more nefarious than simple profit. As the killer sets his sights on a new victim�a charismatic duke who has captured Felicity�s imagination�the stakes rise to impossible heights. It�s a case that could shake the kingdom in Patricia Marcantonio�s series debut, Felicity Carrol and the Perilous Pursuit.